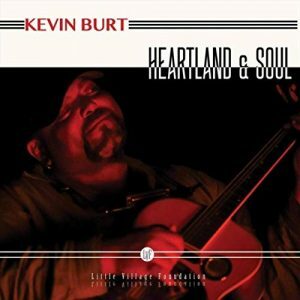 Heartland And Soul is the stunning debut release by 2018 International Blues Challenge solo/duo winner Kevin Burt. Not only did he win the overall prize in the solo/duo category, he also laid claim to the awards for top guitarist & harmonica. And he shows those obvious talents with the output delivered on this disc. But perhaps the most noticeable quality of Burt’s musicianship is with his deeply, soulful vocals. This isn’t something that can be learned. It is a God-given voice that one can only be born with and a silky smooth voice that most would die for. Think Bill Withers or Lou Rawls for comparison, and I haven’t even mentioned his songwriting skills. Let’s put it this way, Kevin Burt is definitely the full package. Traveling out to San Jose, Burt was brought into Greaseland Studios by Kid Andersen and Jim Pugh and backed by a grouping of musicians with a world of talent of their own. 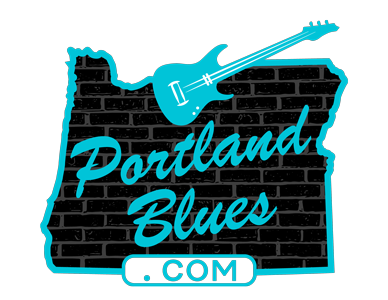 Beside Andersen on guitar and melodica and Pugh on keys, they include drummer Derrick “D’Mar” Martin (Little Richard), percussionist Jon Otis (Johnny Otis’ son), and Jerry Jemmott (BB King, Gregg Allman). Lisa Leuschner Andersen adds backing vocals. Let’s just put it simply, there is a lot of tremendous material on Heartland And Soul. You cannot go wrong with anything here. It’s just a flat-out wonderful album.